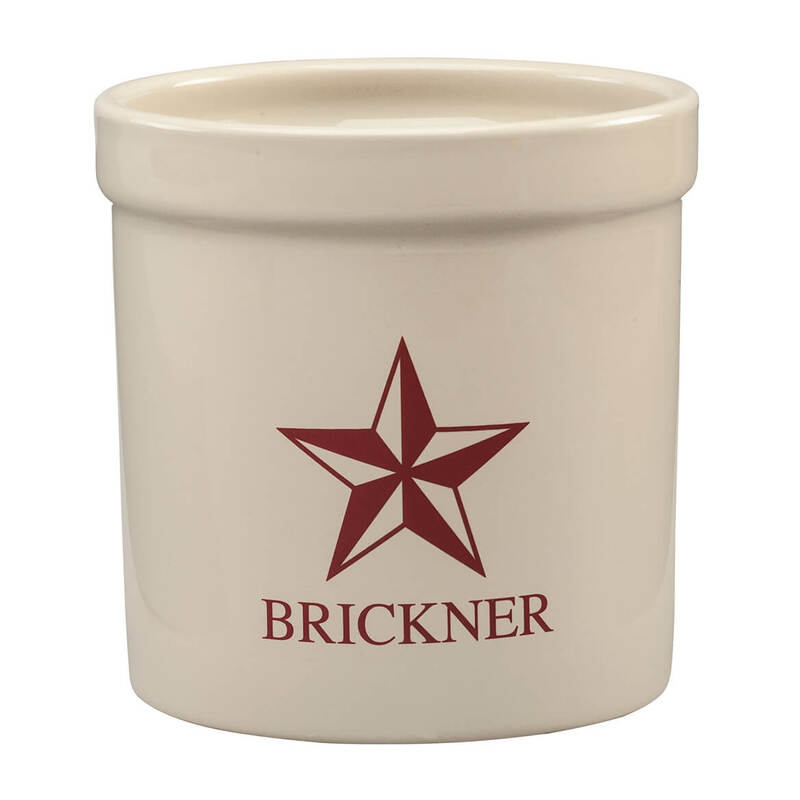 Personalized Red Barn Star Ceramic Crock, 2 Qt. Great gift. 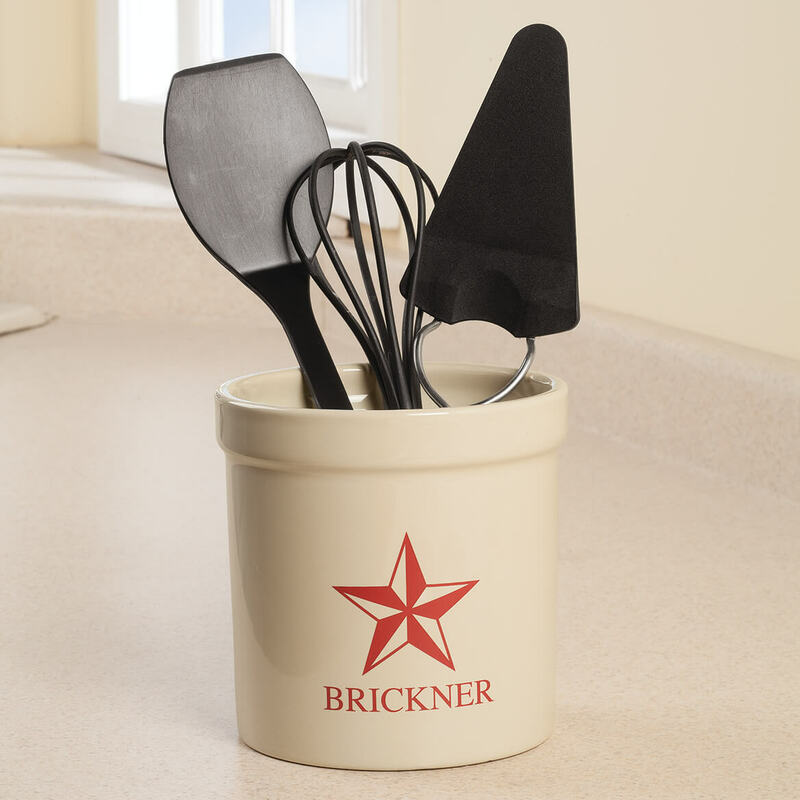 Looks great beside stove for utensils.